At the beginning of 2012, one of the most important Brazilian automotive foundries has awarded Magaldi for its new foundry moulding line project. The features of the Magaldi Superbelt® conveyor were already well-known by the customer, making Magaldi technology their preferred choice. 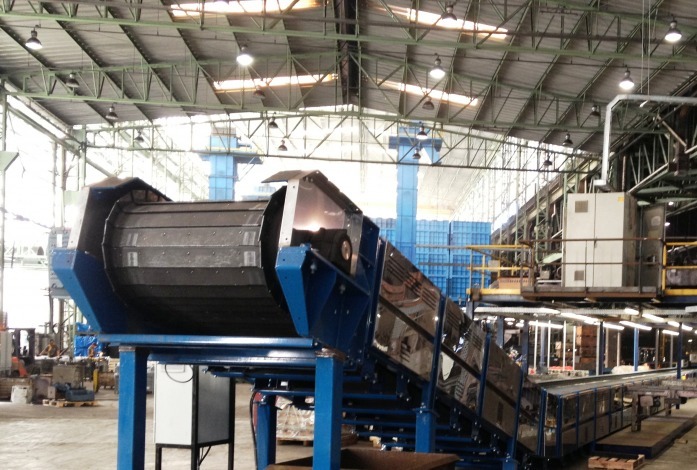 During Summer 2013, the Magaldi Superbelt® conveyor has been installed for sprues removal and casting sorting operations after shot-blasting process. Magaldi technical dept. has designed the conveyor to facilitate both operations along the belt, the operators simply and smoothly remove the sprues by means of hydraulic wedges and dispose the castings for further process.